Did you know that 50% of the global workforce will be millennials by the year 2020? These workers expect systems to run smoothly and intuitively and want automation and machine learning wherever possible. There is no point resisting it. In order to stay relevant and competitive, and to avoid being left behind, it's time for business owners to digitally transform. The term 'digital transformation' has been knocking around for a while now, but what does it actually mean? Well, it means something different for every type of sector, but in broad terms, it means the use of new technology to provide solutions to age-old problems. Companies can harness the power of automation, machine and deep learning, artificial intelligence and augmented reality to transform their company's systems and processes. Best of all, it comes at little to no cost. So, given the benefits of digital transformation, and the low barriers to getting started, why are businesses still resisting? It could be that they don't fully understand what digital transformation actually means. Perhaps they are thinking only about the present period and the next few months, not about future-proofing their company. Perhaps they don't see digital transformation as being relevant to their sector. Others are aware of its importance but are simply unprepared to make the shift in the technology and embrace the equally important change in company culture, deeming it too much effort. Companies that are 'born in the Cloud' have the advantage of being able to take on new systems and ways of working in their stride. Older, more traditional companies may have a more difficult time, weighed down by legacy IT systems and working methods, but even in this case, the benefits still substantially outweigh the drawbacks. For every company, the journey will be different, but there is simply no argument against digital transformation. It's here, it's exciting and it's also compulsory. 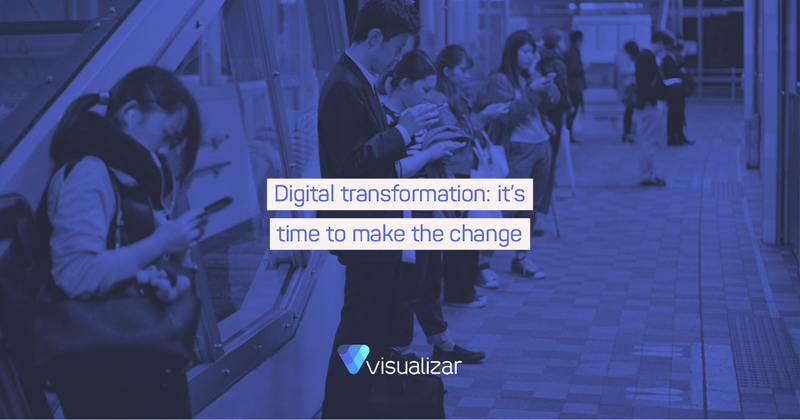 It's time to digitally transform.